Our Contour Mattress Topper maintains temperature control through its air flow enhancing design and provides luxurious comfort. Due to our ripple effect surface air can easily travel under you, keeping your core body temperature down. The egg crate surface on the top provides pivotal support to all the major pressure points on your back, neck and shoulders helping to relieve any aches and pains you may experience. The design considers the ergonomic qualities of the human body ensuring a good night’s sleep is achieved. 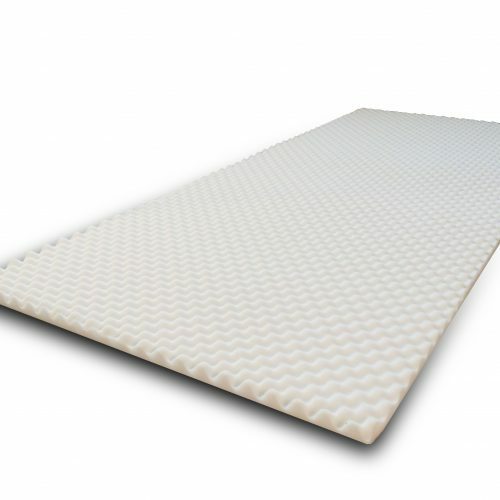 We source top quality high density foam for our contour mattress toppers, resulting in a better product that succeeds in its purpose efficiently.